I FLY is a masterfully guided journey of spirit and music. 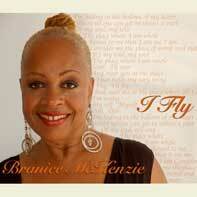 The music – the compositions of Branice McKenzie – speak in the language of varied genres. Everything from funky pop-rock to beautiful ballads. It is inspiring to listen to “When I Was Five” and celebrate the unbridled joy of a child or “At The Well” to reflect upon the source of all things great and good. McKenzie’s work is rich and for anyone who is looking for art at its best. Along with Richard Cummings as arranger and collaborator, this exquisite CD, I FLY, takes you above the clouds where you find yourself.